right now, i favor the single arm rows pulling the harness into the armpit area with the harness height set at a little lower than shoulder height. i do single arms to put as little load to the lower back as possible. routine is mid-high reps ~8-20 per set. Re: Lance - some row questions.. If you depress your shoulders, get full extension on the eccentric, and then pull right under the chest, imo you will get the most bang for your buck if youre only going to row one way. 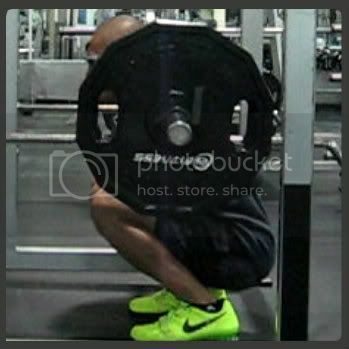 A good way to do it is half your sets using a higher external rotator type pull, then half lower. The back is so complex it responds well to multi directional work. I am training back 2*week, one day is 3x8 chest supported seated rows and the other is 3*F chinups, does it cover that multidirectional approach or i am hitting the same muscle group twice? yes.. i like full ROM with a slight pause to really kill momentum at the bottom eccentric. i actually overdo the top also with a slight torso twist just to really hit the highest/fullest ROM. pulling right under chest IMO hits the back deltoids too. can't go wrong with that either. il do more of the mid-high type pull since it feels more comfortable to me. when i move heavier weights at the mid-high pull, the low pull will eventually take care of itself in a way. with the same handle but with one arm only, and really go full rom and focus on a controlled slow TUT movement. Works pretty well I guess. ^ form can easily go sloppy the heavier you get - and you can't get too heavy either.. you are not leveraged/planted right..
compare that to a standing 1-arm cable row with a solidly braced non-pulling arm + firmly planted feet + lower leg against the bench (to offset some rotational forces too).. the pulling motion is really braced... after the set, i have to be really careful of releasing, otherwise my twig bodyweight will just get pulled and dragged to the other side..
i have pretty much the same form when using the freemotion cable xover.. i lean and plant..etc... do whatever to make sure that no energy leaks during the rowing movement. It is multi directional for sure, but its leaving out some external rotator work depending on how you do the chest supported row. Face pulls, rear delt fly, scarecrows, etc are more pure external rotation exercises. If you slide down on the pad, and pull toward your neck more, the chest supported row would be a good external rotation exercise as well.